A blog to provide resources, community and inspiration for caregivers through sharing stories of other in similar circumstances. Please follow us by submitting your email below! You will not only get constant inspiring stories, you will help build the blog to help so many others! Be notified of new stories when they arrive! 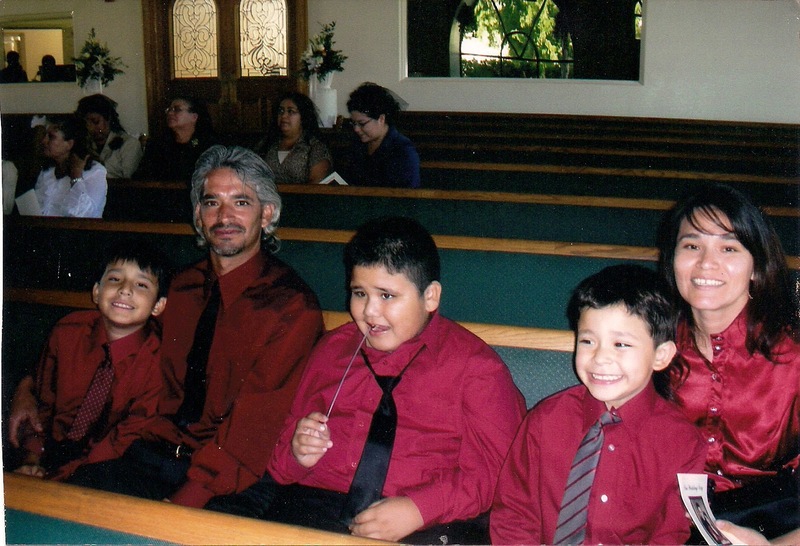 Today's blog entry is from a loving mother and care giver....Claudia Ulloa. Claudia's son, Luis Anthony was diagnosed with Autism. Below, in Claudia's own words are the challenges she faced initially, and how she has found inspiration in caring for Anthony. 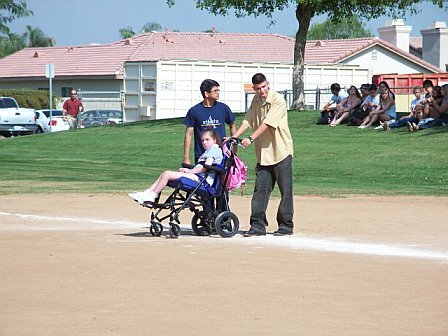 Enjoy another inspiring story how care giving becomes an inspiration for most! "What"? "What is Autism"? I had never heard of this word. After discussions and finding out for myself what Autism was, it would be something that would forever change my life and my family's life. Ultimately we have adjusted to whatever Anthony needed us to be for him. 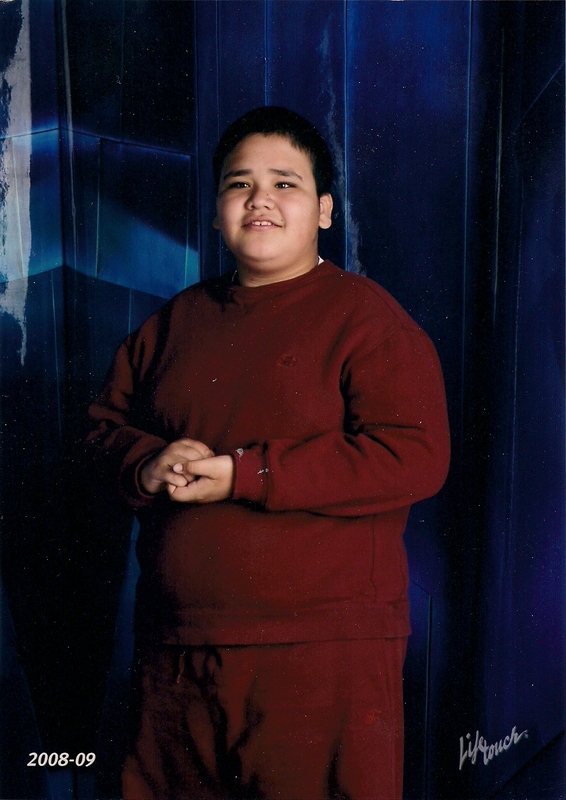 My son's legal name is Luis Antonio Ulloa, but to the people who know him and love him call him Anthony. One of the struggles I have come across has been finding the help and support that I need to meet Anthony's needs. It takes more than me. It takes a team. Including teachers, aids, friends, family and communities as a whole. I have over the years, at times, become frustrated because of the lack of programs to facilitate the appropriate needs of Anthony's education and well being. I have had to go to to the school district and fight for the needs that would accommodate Anthony. I've had to go from one district to the next just to find the basic classroom accommodations for my son. My son is not a number, he's not just a name on a list., He is Anthony. He is someone who deserves to be included in a less restrictive environment. My inspiration comes through my faith. Overcoming these obstacles with Anthony is how I found my strength. That through God, all things are possible. I have learned from Anthony how to be patient. I've learned not to give up on him. Because with time he has proved me wrong. When I think he can't, He does it. For example: When he puts on his shirt and pants, he looks at the tag to know that it does not go in the front, where as in the beginning I didn't think he would learn. But, yes, Anthony proved me wrong. He knows, even when I didn't know. He is so amazing. My desire for Anthony is by getting a custom bike he will be able to participate in a community event called Tour de Palm Springs located in the city of Palm Springs,Ca. Its an event that is held annually. I include Anthony in all family events, whether we go to the movies or out to dinner, Anthony is no exception. I feel there should be no boundaries or limitations to my sons success in life. If there were more programs and resources in place this would help to enhance Anthony's potential to be more. Anthony understands, he listens and he knows what he wants. And this is why I call him my miracle. Well, due to travels and work, the blog has been inactive for almost 3 months. To our loyal followers, I apologize....but we are back and plan to be more active for your enjoyment! Please continue to email your stories to be featured in future editions of the blog! This week's story is about the Human touch and how important it is. As caregivers, we are often touching those in our care, but in a "administrative" way. Helping them from place to place, feeding them, changing them, providing medicine. But it's important to remember those in our care, especially those with special needs, don't always get the warm human interaction that we all want and need. A warm hug, a hand held and rubbed, a pat on the back are all things that we can easily and constantly give to those in our care. We often think about how much we value those in our care, but they don't always get the human interaction they need. Sometimes because they cannot speak. Sometimes because they cannot reach out. So it's up to us, as caregivers to make certain we are interacting verbally as well as physically, to bring happiness to those we care for. A short story about our own situation. Taylor, has been in and out of decent health the past few years. And with her long and painful hospital stay in the past year, she had an increasingly hard time sleeping (and still does). She was so afraid to go to sleep as when she was ill, she was constantly awakened by painful shots and procedures. For months, if we even walked into her room to check on her, she would be startled and panic until we could calm her down. Recently, when she was struggling to get to sleep, her little sister (9 years old) decided to help her. She climbed into bed with her to watch TV and cuddle. Within moments, Taylor had slid over to cuddle as best she could, and in minutes, she was sound asleep! The simple act of cuddling with her and making contact allowed Taylor to feel safe enough to fall fast asleep. And remain that way for a good eight hours. Human touch, and in a kind way, is one of the BEST remedies for those we care for. Today's post is about Jonathan Ortiz. 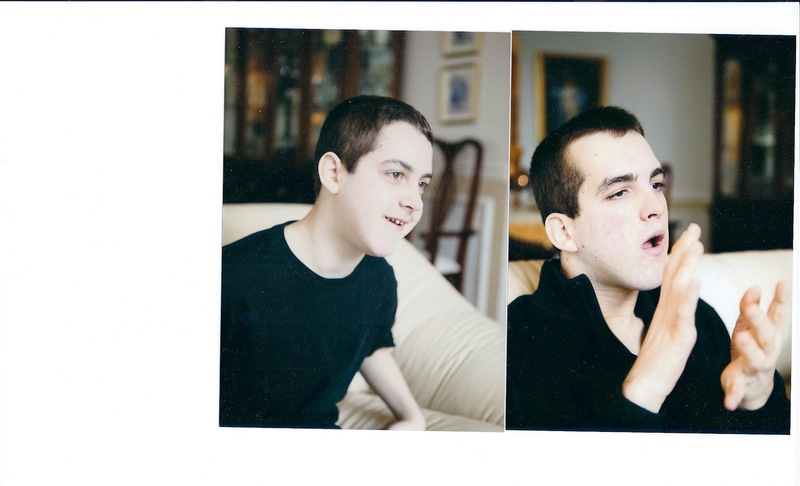 Jonathan was diagnosed with Infantile Cerebral Palsy, quadriplegia. 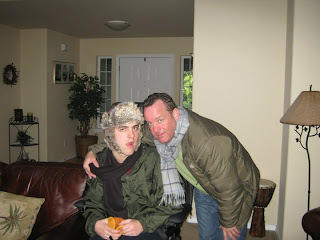 As Jonathan's Mother, Claudia describes:"No one is prepared to have a child with special needs, I definitely wasn't! The first time I took him home after being in the hospital for a little bit more than a month, I just closed my mind. Physically my child looked fine, I didn't see any disability. It was when he wasn't rolling over, when he didn't sit by himself and all the other things babies do, I just had to open my eyes and try to do the best for him." At first, Claudia was afraid to reach out, and then even more afraid that she wouldn't get him the help Jonathan needed. At 2, he was barely crawling to get around. Being raised in a family, where people kept their problems to themselves didn't help. But watching Jonathan struggle was enough to show Claudia that she and her husband, Victor, needed to reach out for Jonathan's best interests. One of the groups that Claudia found, was Variety Club! When she realized there were programs and opportunities available for those things out of reach for Jonathan, she felt relief. 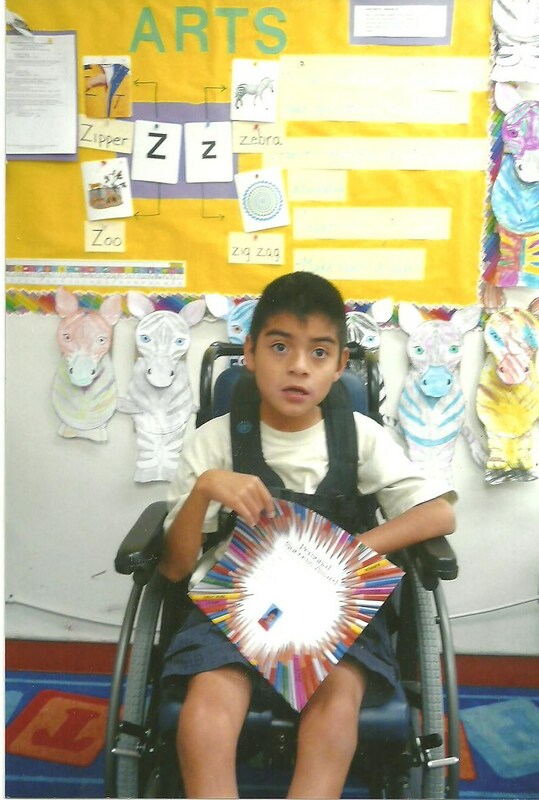 The United Cerebral Palsy group, also in the Palm Springs area, work with families like Jonathan's to get him the services and equipment he needs. These available programs and opportunities, once thought out of reach, are now starting to help Jonathan and his family. "Jonathan's happiness, has been my motivation! He has taught me the idea of never giving up when it comes to reach out for something he wants. The good things that have come into our lives, is realizing that out there they are people with many different needs, you see the world with different eyes." Congratulations to Jonathan, Claudia and Victor for reaching out and finding that what you need is out there! Today's post come's from Jim Hines. Not the father of one child with disabilities, he's the father of TWO boys with a rare condition. Through it all, Jim (and his ex-wife) Mary have been rocks. No complaining, no whining.....just the best parents they could be. And on top of all that, as you'll see in the story, they have been wonderfully involved in helping others in similar circumstances. Enjoy this amazing and uplifting story! It was an October night when I arrived back home from the hospital, excitedly calling some friends to inform them that my son, Brendan, had been born that morning. The phone rang as I was about to drift off to sleep. It was Brendan’s mom, Mary. She was crying and she informed me that Brendan was having seizures and was in great distress. I quickly drove back to St. Joseph’s Hospital in Tacoma, where a couple of catholic nuns were praying next to Brendan. All four of Brendan’s grandparents joined us as they readied his transport to Tacoma General Hospital’s neonatal intensive care unit. Our admitting doctor informed us that they were going to run a series of tests, including a spinal tap. Around 3 AM, he sat down with us and told us that he did not know what was causing Brendan’s seizures, and I will never forget his next words, “children that present with seizures right after birth typically do not have very good outcomes”. He predicted that Brendan probably had some sort of metabolic disorder or a rare genetic condition. The euphoria that that was present in all of us only hours earlier was quickly replaced by shock, sadness, terrifying fear, and utter confusion. How does this happen? Brendan wound up hospitalized over one dozen times his first year and we almost lost him a couple of times. Today Brendan is 19 years old. While he does not speak in words, except “Mama and Bubba”, his eyes, expressions and joyful spirit speak to us in ways more beautiful then I could ever articulate. He is in a wheelchair, but that doesn’t stop him from getting around town with us. Quite simply, Brendan is the most beautiful person I have ever encountered. Two years after Brendan’s birth, our second son, Brian, was born. We were nervous during the pregnancy, but were reassured by a local geneticist, who had told us that our chromosomal make-up revealed no abnormalities. After Brian’s birth, we were cautiously calling friends and elated with the idea that Brendan would have a brother. This time when the phone rang, I didn’t even need to answer to know what was happening. Brian presented with seizures several hours after his birth, and we were confronted with the catastrophic reality that we were now the parents of two boys who were born with a devastating and rare abnormality. This time at the hospital, I slumped into a corner with a towel and started crying. How are we going to do this? How does this happen……twice? While many of our hopes and dreams were now clearly gone, we dived in the only way we knew, to love and fight for our sons every single step of every single day. Today Brian is a beautiful, sweet 17 year -old boy. His health is often quite delicate. He still has seizures around once a week. Two years ago, he was also diagnosed with Crohn’s Disease. I thought we were watching him break down right before our eyes. I was starting to prepare myself for the idea that Brian was not going to be with us much longer. Thankfully, Brian is much more stable today. I hate all of the needles, medications, seizures and limitations that come with his condition. But they are nothing compared to the everpresent love for my Brian. To me, he is perfect in every way. Okay, so he also doesn’t speak words and can seem a bit “distant” or in his own world. But once that smile emerges and he looks at me with those beautiful eyes, I connect with Brian in a way I have never connected with anyone else in this life. He too, is perfect, just like his brother, Brendan. The health challenges over the years are too numerous to count. The trips to clinics, therapy and neurology, the hospitalizations, the attempts to gain a diagnosis. That alone lasted five years. At that point, after muscle and nerve biopsies, we knew it was time to bring Brendan and Brian home and give them as good a life as we possibly could. People will ask what it is like being the parent of two special needs children. It is certainly not twice as hard as having one; it is about ten times harder. I tell them that the lows are lower and the highs are higher, like when an educator called me on my cell phone to tell me that Brian had taken his first independent steps on the ball-field at school. He was nine years old. We have had our lives enriched in ways not possible had our boys been born “normally developing”. We have met countless families along the way. We have been touched by the care and concern of so many health care professionals. And, like others, we have attempted to help other families through our experience, strength and hope. When our boys were very young, we met up with David and Leslie Kantor, whose own daughter, Taylor, was also receiving therapy at Mary Bridge Children’s Hospital’s Therapy Services. The Kantors started a fundraiser the previous year and invited Mary and I to get involved in year two. I was put up on stage as Master of Ceremonies that second year of “Bids for Kids”. I had never emceed anything in my life. This Fall, I will have the incredible honor of being emcee again as we celebrate the 20th year of “Bids for Kids”. We will surpass $1.4 Million raised for Therapy Services and other needs affiliated with Mary Bridge Children’s Hospital. So many incredible volunteers, unbelievably generous support from friends, family and the community. An indescribable feeling of well being and satisfaction comes with simply doing for others. Friendships and lifelong bonds that would be impossible to convey unless you have “been there”. Because of my sons, I have become something I was incapable of being had they not been delivered to us in such a special way. I have had the amazing honor of serving on multiple Boards of Directors, including Special Olympics. I made a run for public office in my local legislative district. While I am grateful for my job and business career, I left the corporate “fast track” and have been given a life of balance. Yes my job is wonderful and fulfilling. But my devotion to my sons has replaced any business ambition I may have once possessed. My level of empathy and compassion are “off the charts”. My advocacy for my sons is fierce and only grows. I probably worry a lot more than most parents, but today it is manageable. For the most part, my sons live beautiful lives. They are happy and we will continue to adapt our lives to their needs as best we can. Brendan and Brian know love. They feel it around them constantly. I cannot begin to convey the gratitude for all those who have touched us along the way. The caregivers and school personnel, including para-educators. Our families and friends. Even wonderfully kind people who work in local restaurants and pizza joints who embrace us with open arms and upbeat smiles. They know beauty and perfection when they see it. I know not what the future holds for our family. We were not given much hope as to the possible longevity of our sons’ lives, let alone their quality of life. Their underlying condition is so rare that we are literally “blazing our own trail”. Like other families, we are pioneers. We have to trust our instincts as we advocate for our boys. I only encourage other parents with special children to trust their own instincts. I would say to advocate strongly on behalf of your child or children no matter what. Even health professionals are human. If something doesn’t “seem right”, it probably is not. Speak up. No one will possibly know what you know about these perfect beings. I have come to realize that I was “selected” to be the father of Brendan and Brian. And it is the greatest honor bestowed upon me in this life. Nothing I have experienced even comes close. And nothing ever will. I am proud of my sons. They are perfect in every way. I have come to believe that kids like mine are the closest thing to perfection in God’s eyes. They do not harm others and are incapable of anything but love. And to think that I am their dad……wow! For those families with a special child…..you can do it…..you will do it. And you will be blessed beyond your dreams. Allow this child…..these children….to create in you a person of great character and strength. And embrace your role as that of a member of a very select society. There will be highs and lows, but through it all, there will be love! It's important to remember, that as care givers, one of the most important jobs entrusted to us, is preserving the dignity of those we care for. Well, there are many people who would "de-value" the life of those we care for. They feel that because someone has less abilities than you or I, that somehow, their lives are not as important. Yesterday, when my wife picked up Taylor from her day program, her pants were down below her diaper. She had gone on an outing that way. Now, we're almost certain the person who changed her, would never go out in public like they allowed Taylor to. Nor would they send their children out that way. Just because Taylor can't speak, doesn't make it acceptable to make her any less presentable. But even madder, was Taylor's case worker. She took it upon herself to make certain that Taylor's dignity was preserved. She went above and beyond. VERY inspiring to see a paid employee of the County take someones appearance so seriously! 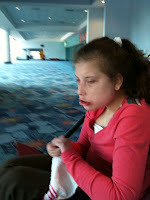 So when you are caring for an individual that cannot speak, make sure they appear how YOU would want to appear! They can be the best person THEY can be, without having to look less than presentable. They are here to help and inspire.....not distract! Paid care givers....An important component! Most talk and writing about care giving is about FAMILY caregivers, the biggest population of care givers. But we are going to devote stories not only focused on the FAMILY care givers, but the paid ones as well. Most of us that are care givers, share in the care of our loved ones with others. These people are paid to help in care giving. But does that minimize their role? Yes, there are people who get into the profession of care giving because there's a need, and it's a steady vocation. But for these people to last, they need to be a special kind of person. A person who is in tune with special needs, disabled, or the elderly. When my daughter, Taylor, had the privilege of attending the Special Education program at Palm Desert High, she was exposed to so many care givers, special teachers and aids who went out of their way to make her life great! This has occurred at MOST of her schools, starting all the way back to Purdy Elementary! So, we look forward to not only sharing your stories of inspiration that have come from being a care giver, we look forward to hearing your stories of paid care givers that have been a part of your journey...and the inspiration they've provided to you and those you care for! Rosalyn Carter said it best: “There are only four kinds of people in the world – those who have been caregivers, those who are currently caregivers, those who will be caregivers and those who will need caregivers”. Absolutely mind boggling when you see these numbers, right? So why are most of the discussions focused on “poor me?” Yes, I can attest first hand that being a care giver can be depressing at times, challenging at the very least. But to go through this journey, and NOT find anything empowering, inspiring or uplifting, means you’re not fully present in the situation. Find that INSPIRATION by making what you want to have happen, HAPPEN. Learn from your situation and help others who are having trouble seeing what is GOOD in the scenario. And SHARE your Caregiver Inspiration!